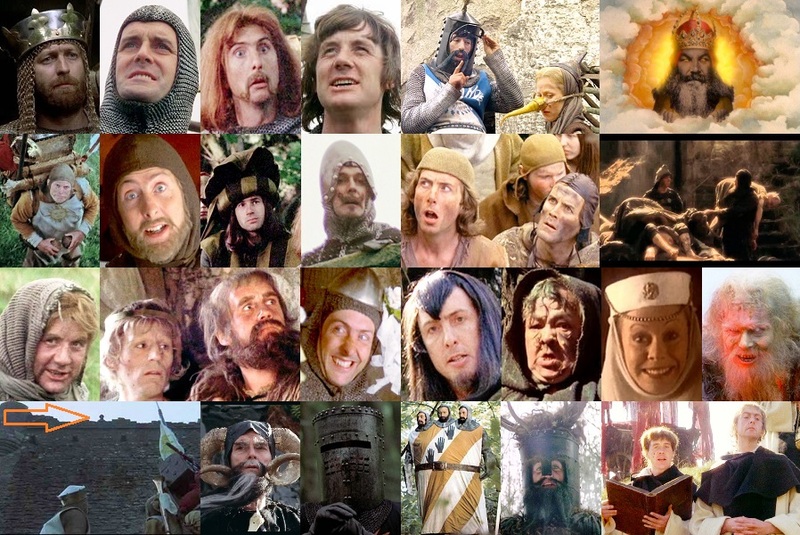 Movies Quiz / Monty Python and the Holy Grail: Who Said That? Can you click the correct character who said each of the following lines in the film Monty Python and the Holy Grail? Well, uh, you see, the thing is, I thought your son was a lady. I soiled my armor I was so scared! Please! I can defeat them! There's only a hundred-and-fifty of them! And that, my liege, is how we know the earth to be banana-shaped. 'Course it's a good idea! When danger reared its ugly head, he bravely turned his tail and fled. Well, she turned me into a newt. You're not fooling anyone, you know. Don't like her?! What's wrong with her?! She's beautiful. She's rich. She's got huge... tracts o' land! He's come to rescue me, Father. Not to leave the room even if you come and get him. Are you saying 'ni' to that old woman? Aggh! No! Never! We have no shrubberies here. Do you think this scene should have been cut? What... is the air-speed velocity of an unladen swallow? A five ounce bird could not carry a one pound coconut! So, brave knights, if you do doubt your courage or your strength, come no further, for death awaits you all with nasty, big, pointy teeth. - In that case, I shall have to kill you. - Oh, I don't think so. Then, when you have found the shrubbery, you must cut down the mightiest tree in the forest... with... a herring! Armaments, chapter two, verses nine to twenty-one. Four shalt thou not count, nor either count thou two, excepting that thou then proceed to three. Five is right out.